Le Pen says lifted words were a nod to rival Macron. 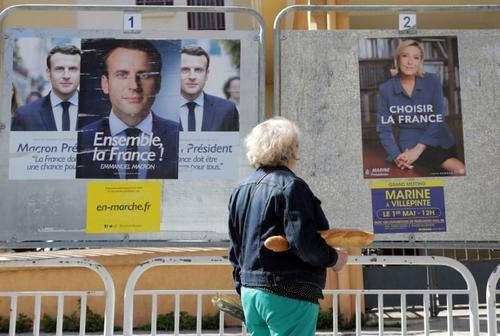 Reuters UKFrench voters can expect verbal "hand-to-hand" combat when centrist Emmanuel Macron and the far-right Marine Le Pen hold a televised debate on Wednesday night, their last encounter before Sunday's run-off vote to pick the next president. 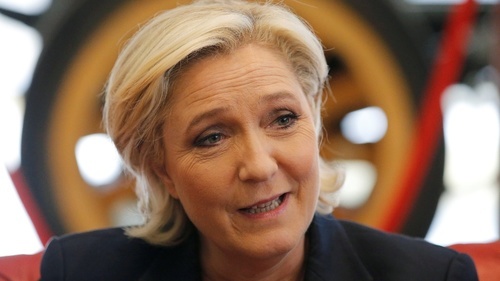 Reuters UKPresidential candidate Marine Le Pen would try to change France's electoral law by referendum if she wins the presidency on Sunday and her National Front (FN) party fails to win a parliamentary majority in June, a senior FN official said. 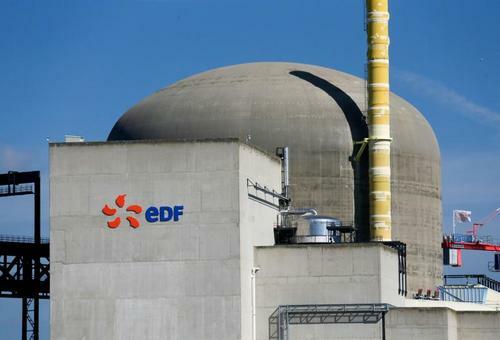 Reuters UKFrench presidential candidate Emmanuel Macron may delay plans to reduce the share of nuclear power in the French power mix and is considering a UK-style subsidy mechanism to build new nuclear reactors, a source close to the Macron campaign team said. Far-right candidate Marine Le Pen and centrist Emmanuel Macron clashed over their vision of France's future, the euro and ways of fighting terrorism in an ill-tempered televised debate on Wednesday before Sunday's run-off vote for the presidency. Le Pen and Macron clash in TV debate. 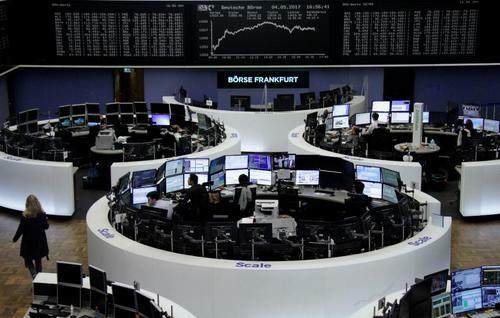 Signs that centrist Emmanuel Macron was heading for victory in France's presidential election and reassuring results from HSBC pushed European shares to a near two-year high on Thursday, despite some wary signals from China and commodity markets. Former U.S. President Obama expresses support for French presidential candidate Macron in a video distributed by Macron's camp. 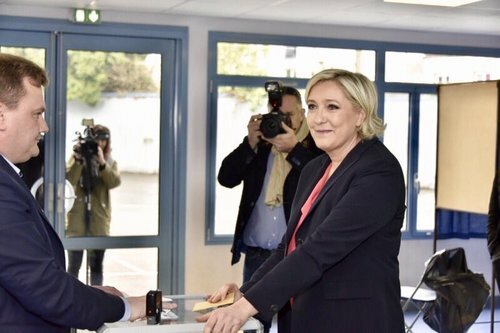 Centrist French presidential candidate Emmanuel Macron extended his lead in the polls over his far-right rival Marine Le Pen on Friday, the final day of a tumultuous election campaign that has turned the country's politics upside down. 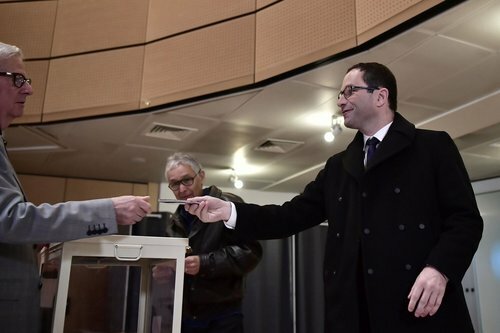 Reuters UKA quarter of the French electorate is due to abstain in the presidential runoff on Sunday, many of them left-wing voters disappointed after their candidates missed reaching the runoff, according to a poll by Odoxa. 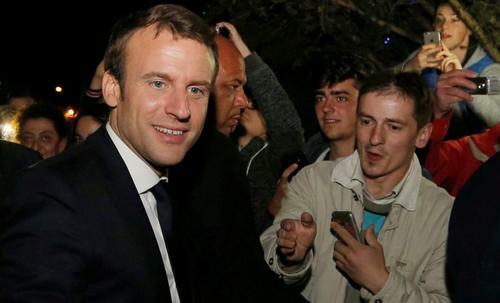 Reuters UKFrench presidential election front-runner Emmanuel Macron said on Friday he had decided who would be his prime minister if he wins Sunday's vote, but would only reveal the make-up of his government after he took office. 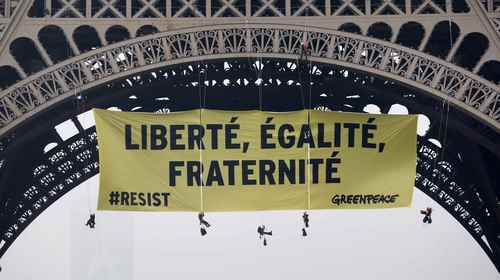 Activists from the environmentalist group Greenpeace unfurl a giant banner on the Eiffel Tower which reads "Liberty, Equality, Fraternity" in a call on French citizens to vote against the National Front (FN) presidential candidate Marine Le Pen, in Paris, France, May 5, 2017. 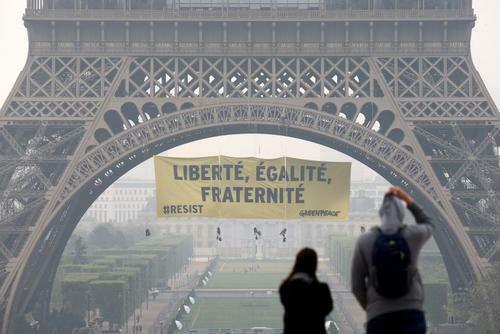 Reuters UKParis's police chief called emergency talks on security ahead of a French presidential election after Greenpeace activists scaled the Eiffel Tower in broad daylight on Friday and unfurled a political banner. A "radicalised" man has been arrested near a military base at Evreux in western France, a judicial source said on Friday. Prosecutors specialising in terrorism cases have been informed, the source said, without giving details. 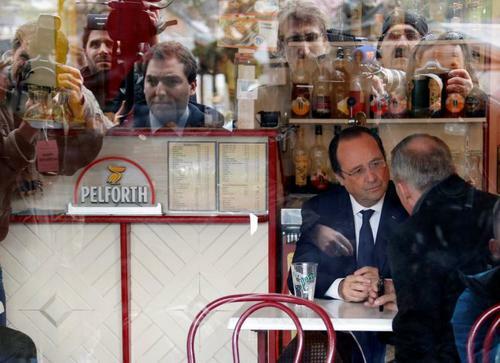 France will have a big security operation in place on Sunday as voters go to the polls to elect a new president. Security is a key issue after attacks by militant Islamists which have killed more than 230 people in the past two years. 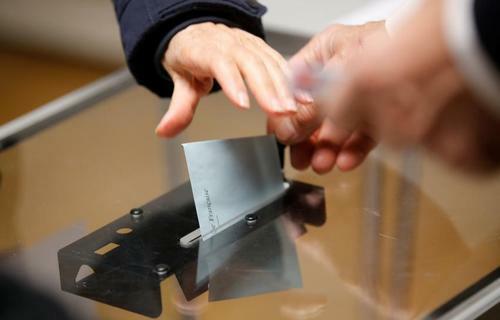 Reuters UKThe Socialist party's headquarters in the southwestern town of Tulle bears the physical scars of the political earthquake that has shaken France since its former mayor Francois Hollande was elected president in 2012. 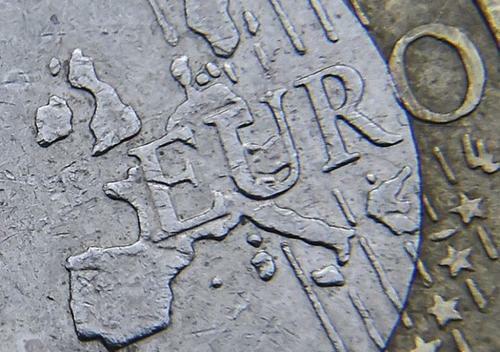 Reuters UKThe fate of the European Union and the euro could hang on the outcome of Sunday's French presidential election. Reuters UKEuropean shares surged to a fresh 21-month high on Friday, spurred by strong earnings updates, supportive economic data and easing political worries ahead of Sunday's run-off vote in the French presidential election. 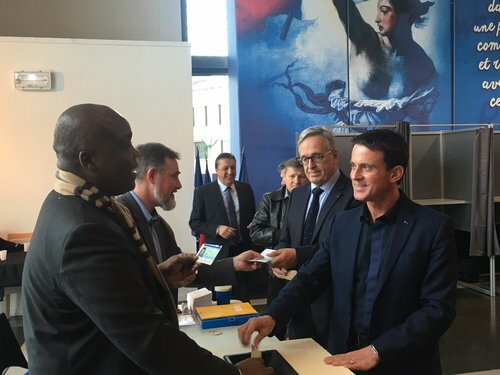 A large trove of emails purporting to be from the campaign of French presidential candidate Emmanuel Macron was posted online late on Friday, 1-1/2 days before voters go to the polls to choose the country's next president in a run-off with Marine Le Pen. Macron campaign says to take all appropriate measures to get clarification about this unprecedented operation. 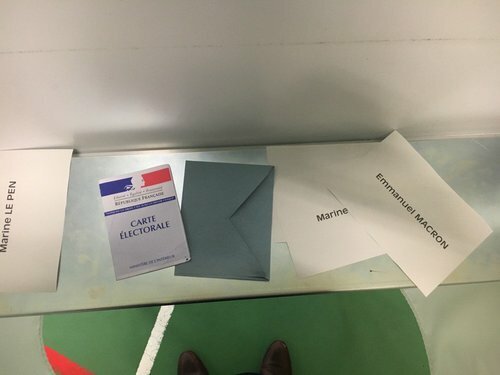 The National Front party of French presidential candidate Marine Le Pen complained to election authorities that voters in several regions received torn facsimile ballot papers bearing her name in a pre-election information package. 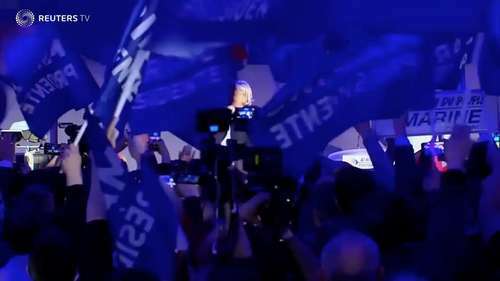 Reuters UKAfter a tumultuous election campaign filled with scandal and surprises, the French public began to vote on Sunday on whether a pro-European Union centrist or an anti-EU, anti-immigration far-rightist will lead them for the next five years. 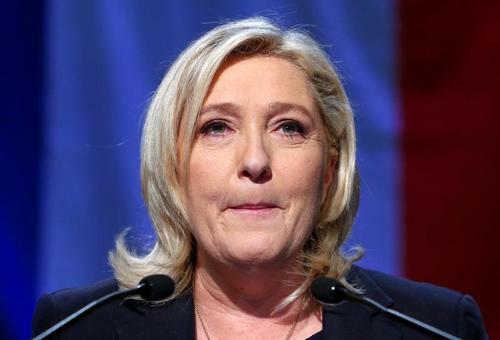 Reuters TVMarine Le Pen is the far-right candidate hoping to win France's presidential election on Sunday. Having lived and breathed National front politics since she was born, the anti-EU, anti-immigration former lawyer may be behind in the polls, but she is determined to fight til the bitter end.